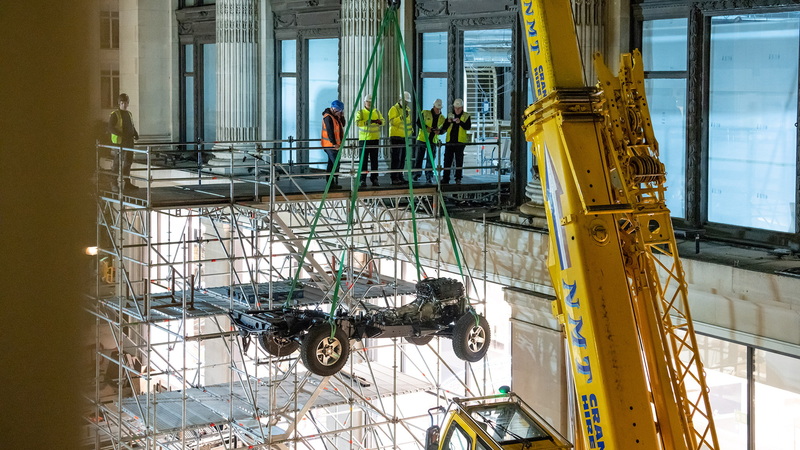 Land Rover has built a special Defender for famed London department store Selfridges, located on Oxford Street. The iconic vehicle serves as the centerpiece of the new men's wear department, which was opened on Monday. To get the Defender into the store, the off-roader was stripped down to its chassis. The Jaguar Land Rover Classic team then helped shove it through a first-floor window and before beginning the reassembly process. The whole process took about four days from start to finish. 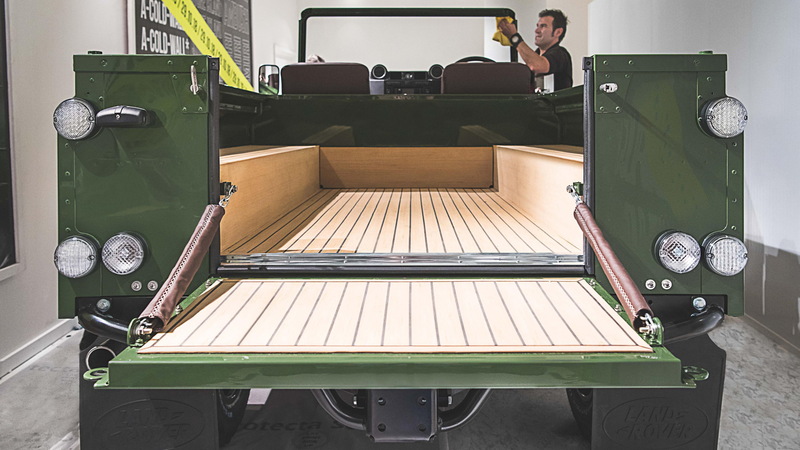 This particular Defender started out as a 110 pickup before the Jaguar Land Rover Classic team converted it into a one-off 110 Soft Top convertible. 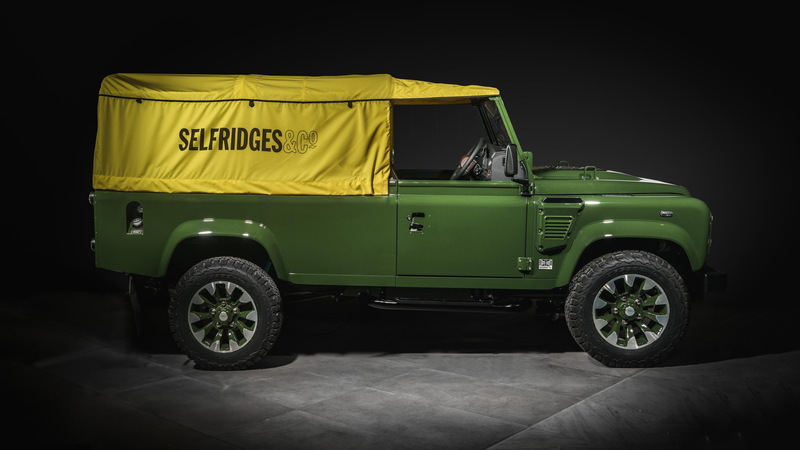 On the nose of the reassembled truck sits a special Selfridges-branded hood finished in the store's trademark yellow hue. To contrast that look, the rest of the truck features Bronze Green paint. Land Rover Classic fit half-height doors and a fold-down front windshield, too. And gorgeous wood slats for the bed floor round out the exterior style. Inside, upgrades are plentiful, the most notable being a recently launched Jaguar Land Rover Classic infotainment system. It looks period appropriate while delivering modern tech such as Bluetooth connectivity and navigation. 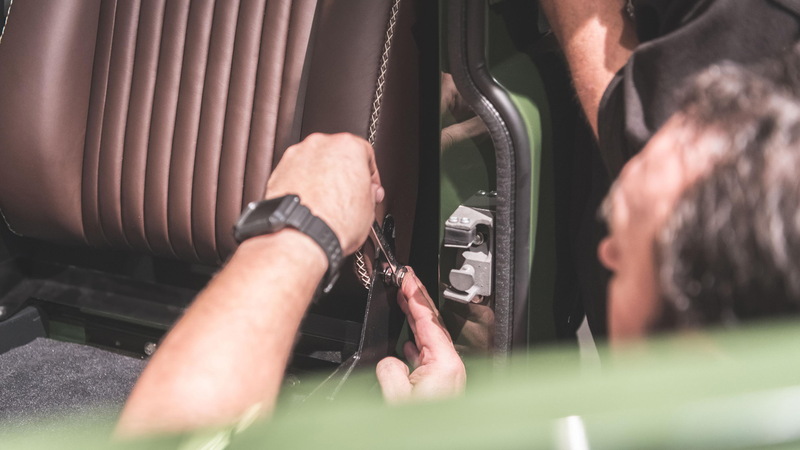 The reassembled truck also has period-style seats with chocolate leather upholstery and ivory cross-stitching. The upgrades under the skin are even better, though. 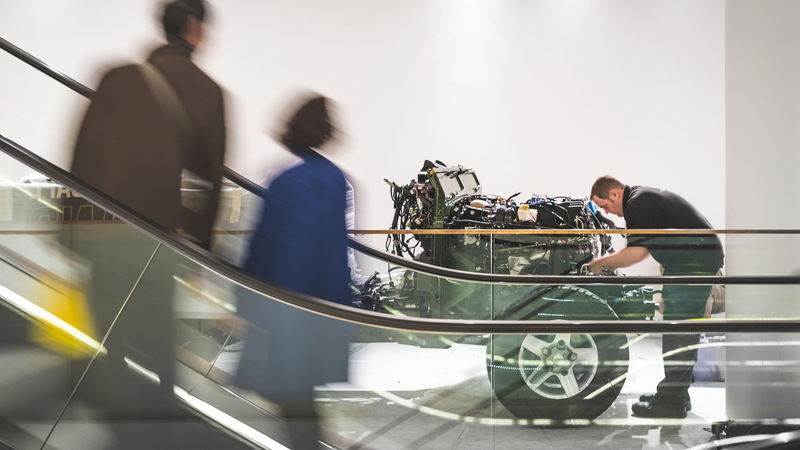 Under that hood rests a 5.0-liter V-8, the same unit Land Rover used for its limited-edition Defender Works V8 model unveiled earlier in the year. This mill cranks out 405 horsepower and 385 pound-feet of torque and sends its grunt through an eight-speed automatic. Land Rover Classic upgraded the brakes and suspension, too, which means this truck should drive better than any original. Hopefully, this special Defender won't sit idly in the Selfridges store for too long. It's clearly been born to run, and we hope it is given the chance to do so. The truck is one of the last line of the old guard for the Defender family and a way to send the original out in style. A redesigned Defender waits just around the bend, and we hope it holds onto the historically cool styling of the original.